Doblin House — Valerio Dewalt Train Associates, Inc.
Doblin House is inserted into the ruins of an early 20th century factory of which only the common brick walls remain. 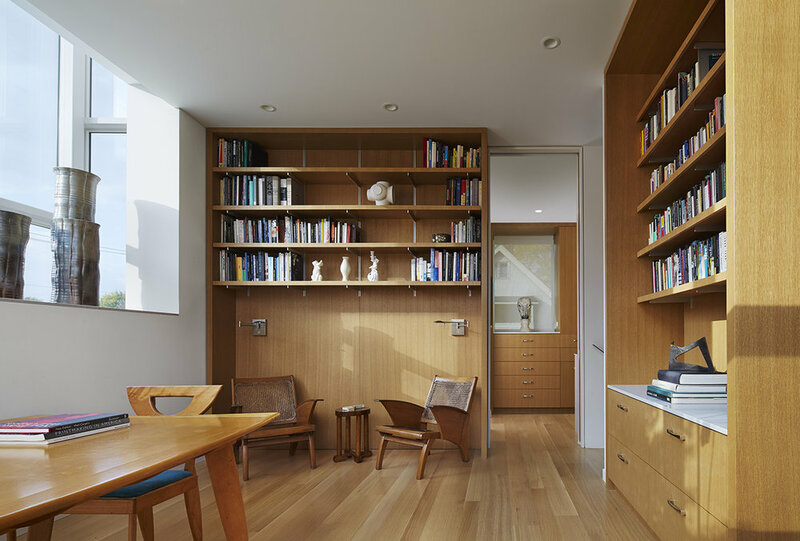 The original house was designed and constructed in 2003 for a single resident as a single-room home, or an “absolute” environment. 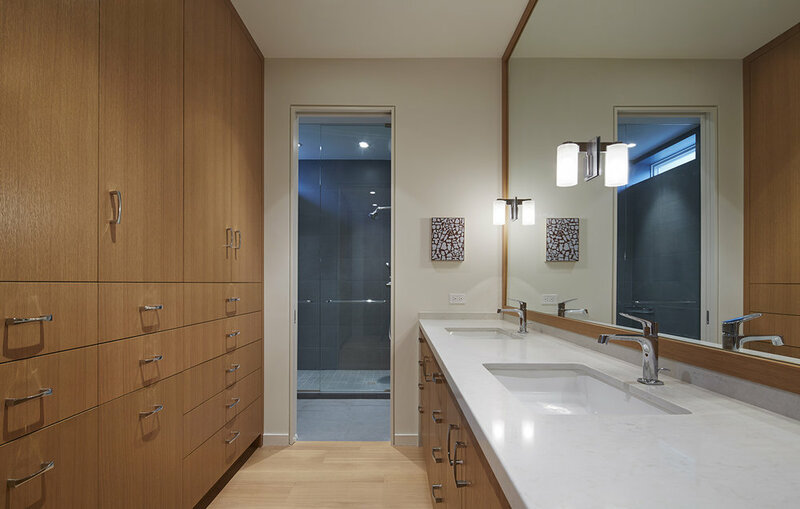 The addition was commissioned in 2013 and completed in 2014 when the client married and needed more space. The facade is defined by two, large galvanized metal scissor doors. The one on the left opens to reveal the garage. The one on the right opens to let the space of a garden flow out to the street. 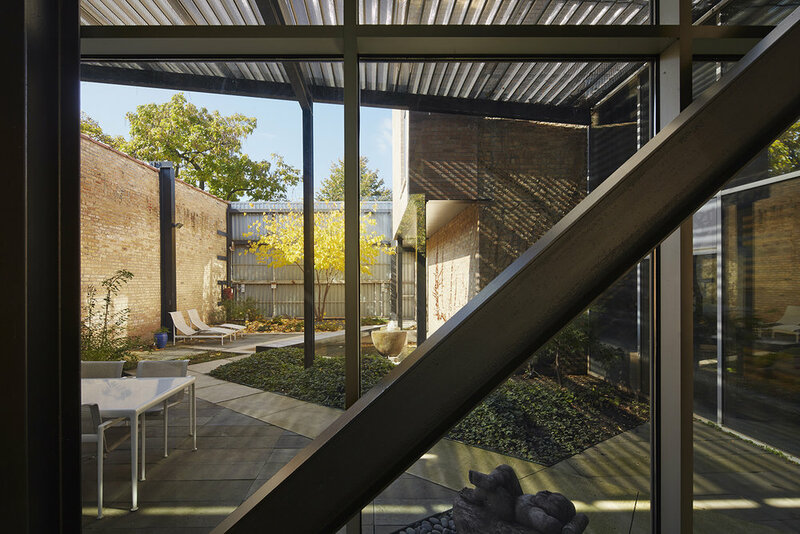 The enclosure of the house is a steel frame suspended from the surrounding masonry walls and is supported in the center by a grid of columns. 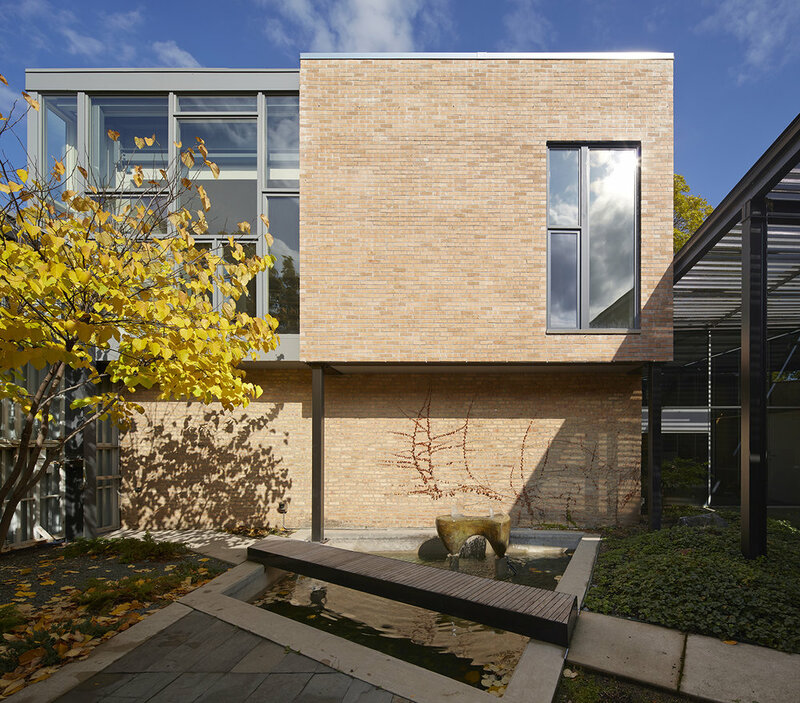 The addition maintains this material relationship with a metal clad exterior. The interior is anchored on the first floor by a renovated bath and dressing room on one side, and the kitchen on the other. 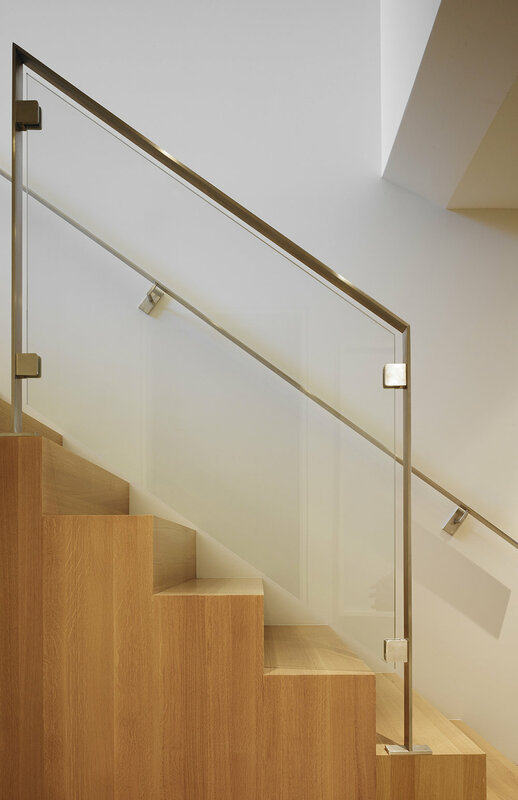 The new stair leads to a private sleeping room and study. The old technology of the brick masonry stands in sharp contrast to the tension expressed in the steel and glass. 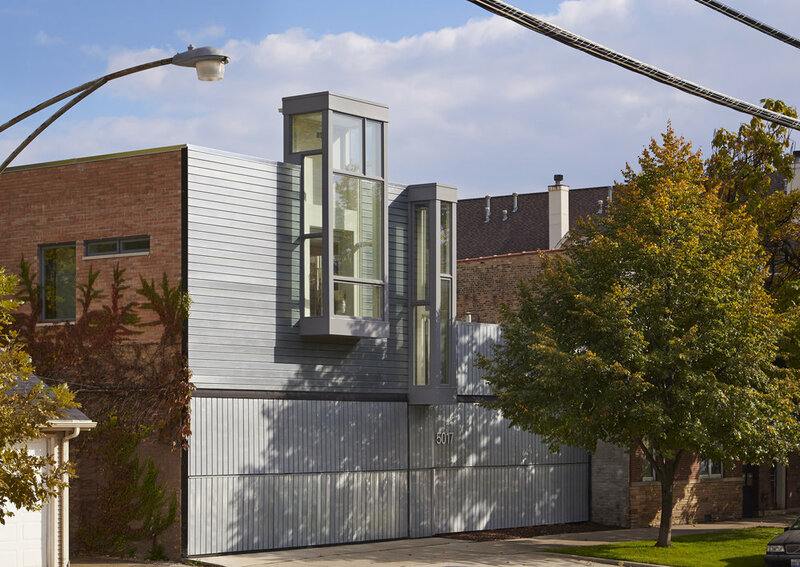 The Doblin House was awarded an AIA Chicago Building Honor Award.